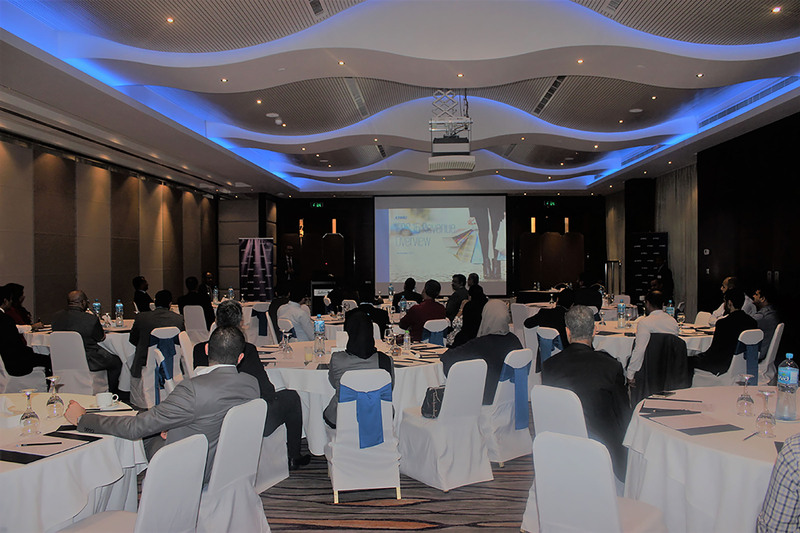 More than 50 chief financial officers and financial controllers from banks and insurance companies in the Kingdom of Bahrain attended the “IFRS 15 – time for action” seminar organized by KPMG in Bahrain. The informative session facilitated an interactive discussions on the implications of the International Financial Reporting Standard (IFRS) 15, Revenue from Contracts with Customers, on businesses when implemented in January 2018. IFRS 15 provides clarifications on the principles that organizations must apply when reporting revenues and cash-flows from contracts with customers. The new standards would leave less room for individual accounting decisions and rather specify certain standards, known as the Five Steps Model. Mahesh Balasubramanian, Partner and IFRS lead at KPMG in Bahrain, was the keynote speaker during the event. In his presentation, he elaborated on the key challenges and implications on various industries. “Companies across all sectors will be affected by IFRS 15 roll out. This impact will be more significant in telecom, software, engineering, construction or real estate industries. Being months away from IFRS 15 go-live date, businesses should have a clear picture on the size of this impact on their operations, take the necessary measures to transition to the new standard in time and comply with stakeholders and regulators expectations.” Mahesh commented. Mahesh also emphasized the role of advanced technologies in facilitating ongoing compliance. In this regard, he encouraged the attendees to utilize the current pre-implementation phase to identify and determine appropriate processes and systems for transactions at their organizations to ensure accurate and timely reporting. The workshop took place at the Radisson Blu Hotel, and it comes as part of KPMG in Bahrain’s ongoing efforts to participate in interactive discussions with key players in the businesses community to update them on the new developments that will impact audit reporting. For more information about KPMG in Bahrain’s events, please contact Khalid Seyadi, Senior Marketing Executive at KPMG in Bahrain, kseyadi@kpmg.com.